If you are an avid golfer, you probably have dreamed about living in one of the best golf communities in Texas and being able to leave home in your custom built cart and teeing off five minutes later or sitting on your patio, with a cool drink overlooking a beautiful golf course. If that's you, there are plenty of great Texas golf communities to consider for your next home or vacation property. These best of Texas golf communities range from upscale invitation only to some that are new and an excellent value. You'll find golf properties on lakes, in the hill country or piney woods, and in the Texas plains. In this section are some links to reviews of a select few of what we consider the Best Texas Golf Communities based on visiting and playing several in Texas. For a list and information on other Texas Golf Properties, check out our Texas Golf Communities page. Let us know about your favorites - email us. Located in the scenic rolling hills of Austin near Lake Travis, this community has beautiful homes and an outstanding golf course. to read more about the community and also check out Texas Outside's Review of . Wow, what a spectacular golf community in Aggie Land! A fantastic Jack Nicklaus designed championship golf course that is very demanding but fair; outstanding pool complex; beautiful homes and homesites plus Casitas, Condominiums, and Cottages; upscale clubhouse with a fitness center, pro shop, and restaurant; reasonable membership options; and scenic treed and rolling terrain. Read our Review of Traditions Club Community to learn more. They also have a great Stay & Play Package and you don't need to be a member to take advantage of it. Pinnacle Golf & Boat Club is the premier golf and lake community on Cedar Creek Lake. Pinnacle offers residents a very challenging and exciting 18 holes of golf, a clubhouse, a restaurant, pool, tennis courts, and marina. Plus reciprocal rights at 6 other great north east courses. Read the Pinnacle Golf Course Reviews, the Review of Pinnacle Golf & Boat Club. Wow, a very impressive and upscale Hal Sutton designed golf community in the Texas Hill Country. In addition to a fantastic golf course, Boot Ranch has an outstanding 55,000 foot clubhouse with a restaurant, stunning men's and women's locker room, a pro shop, wine tasting room, and magnificent views. There are Estate Lots, Sunday Houses, and Overlook Cabins to choose from. Situated on the shore of beautiful Lake Texoma, Rock Creek Resort is another stunning property in the Double Diamond collection. Rock Creek has lots and homesites with views of the golf course, open countryside, lake, and treed rolling hills. The Jack Nicklaus 18 hole championship golf course is spectacular and the amenities and numerous and upscale. Lantana is a 1700 master planned community just northwest of Dallas with a variety of homes ranging from the $170's to over $2 million... to learn about the community and this fantastic golf course. Located just south of the fun and lively beach town of Port Aransas, Palmilla Beach Resort is home to a spectacular Arnold Palmer signature course (ranked one of the best in Texas and the only ocean side course in Texas), a cool swimming pool complex, unique luxury homes and home sites, condominiums, casitas, Black Marlin Bar & Grill, and more to come. Situated on a 200 foot bluff over looking beautiful Possum Kingdom Lake, The Cliffs offers a variety of interior and lake view lots, magnificent homes, and rolling and treed country side. Best of all you'll find one of the best golf courses in Texas, a spa, upscale dining, marina and boat rentals, pool, and more. 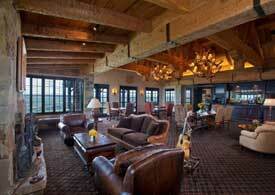 Read our review of The Cliffs at Possum Kingdom.